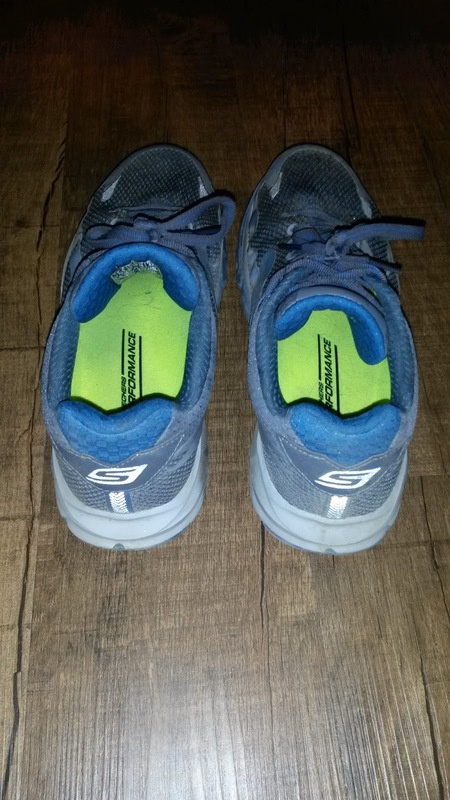 In the last year, Skechers Performance has continually proven to me that they are extremely serious about developing and putting out very good running shoes. My experiences in the Strada 1 (REVIEW), GoRun 4 2016 (REVIEW), Forza (REVIEW) and Speed 3 and 3 2016 (REVIEW) have shown this repeatedly and I look forward to each new release. Which explains why I was a bit baffled by the quiet release of the GOmeb Strada 2 a few months ago. The original Strada became one of my favorite trainers with the decent amount of protection, responsive midsole (which worked very well for fast long runs) and the interesting placement of forefoot outsole rubber that acted as very mild medial forefoot posting (which works very well for me as I tend to pronate heavily in the anterior midfoot/forefoot area). My only major issue was the very clear outsole durability issue and while the shoe lasted 300 miles, the outsole wore down very fast. Regardless, I was excited to see what had been improved upon in version 2. The major changes I can see are to the upper (as per usual with Skechers Performance as they have been only making major changes to the sole every other year) to improve durability and the switch of the midsole material to 5Gen. How did this change things? Read on…. The major update to the sole in the Strada 2 is the change from using Resalyte to using 5GEN material. This is supposed to create a more responsive and cushioned ride. My personal opinion is that the change made the sole softer and actually decreased the responsiveness that I felt from the previous version. The Strada 1 was a surprisingly bouncy shoe that I was able to use easily for fartleks and fast long runs. I attribute this to the slightly stiffer cushioning compressing well but rebounding fully during toe-off. The Strada 2 is still a fast and responsive neutral trainer, I just notice the flexibility has increased a decent amount, likely due to decreased sole stiffness, especially in the sagittal plane (front to back). The Strada 2 is a much more flexible shoe overall than something like the Saucony Pegasus or Saucony Ride. The midsole foam overall seams to compress less on landing but still provides plenty of protection. The change is slight, but may be noticeable for those who have put many miles on the original. 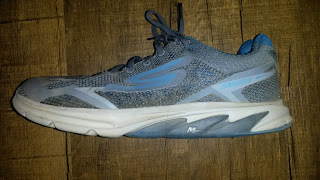 Combined with the almost similar set- up of firmer outsole material running under the first metatarsal, that creates a VERY mild feeling of forefoot posting (ends up being more proprioceptive feedback that actual support) it gives the shoe the potential to be a more stable shoe (more on that later). Onto the biggest area of change. The upper in the original version was a little thick but not too bad. There was a good amount of room throughout, especially in the forefoot, which was not too wide nor too narrow. The Strada 2 has a much thicker and stiffer upper than previous. There are thick overlays around the medial and lateral sides of the forefoot. Initially I was very concerned when I tried them on because not only was the upper thicker, it was stiffer. This stiff feeling made me concerned about blisters on the sides of my toes, but to this day (and after 15-16 mile fast long runs) I have not had any issues with rubbing or blistering. There continues to be just enough room in the forefoot, but those who wore the previous version should be aware that because of the overlays and increased upper thickness, there is slightly less room. In addition to feeling stiffer, the upper does not seem to breathe as well. Living in Southern California, especially with it being summer now, my runs have been in very warm temperatures. For the first time, my feet have been getting a bit hot during some training runs. It has not been terrible, but for those who are more sensitive need to be aware of this. So not the most breathable upper. However, the tradeoff is that this is one of the most durable uppers I have seen. Just like the GOrun Forza, there is absolutely NO wear that I can see after +150 miles and some intense single track trail runs. So the upper will definitely last thanks to it being built up. As per the previous version, the outsole wear started VERY quickly and slowed down. However, after 100 miles, there continues to be a lot more wear than I would like. 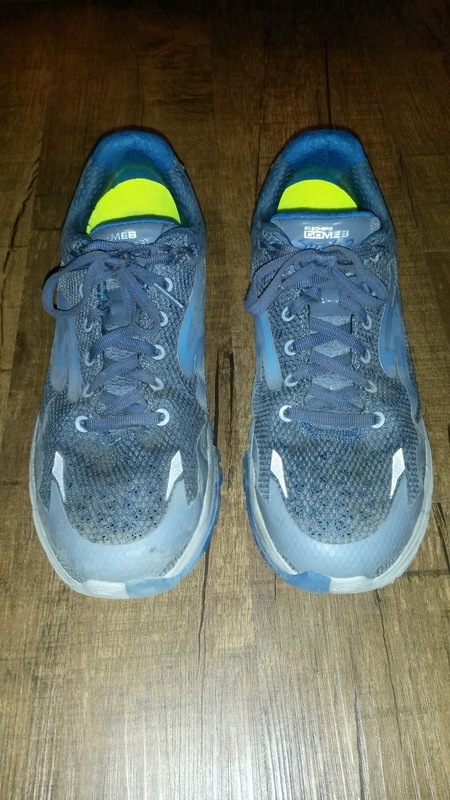 This is very confusing because the GOrun Forza has one of the most durable outsoles I have ever experienced (outsole was mostly fine after being retired at ~400 miles). If I had to make the call, I would say the 5Gen material has improved the outsole durability by a little bit but not by much. I believe the overall softness of the midsole material contributes to the low durability as it continues to compress well (despite being a little stiffer) and is the quietest shoe I have ever run in. Like the Forza, I think the Strada could use some additional structure or firmness built into the outsole to improve durability. The GOmeb Strada 2 is a fairly traditional trainer that will work best for high mileage, training runs, long runs, uptempo runs and fartleks. As this is a trainer, I would not suggest it for intervals as there are definitely faster shoes out there. The mildly lugged outsole in the forefoot does give the shoe good grip on roads and very light trails. The cushioning in the shoe does protect the foot fairly well on light trails, but being a road shoe, this is NOT something I would use for more technical terrain. 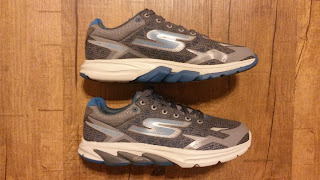 For that I would look at Skechers Performance fantastic new GOtrail line. Another big change in the Strada 2 has been the large decrease in weight. The Strada 1 weighed around 10.3 ounces (per my scale) and the new version has dropped over half an ounce. This almost makes the Strada 2 feel like a lightweight trainer and definitely makes up for the decreased stiffness (that I enjoyed because it made the shoe faster...). With the slightly decreased stiffness of the sole, I actually feel the distinguished outsole material a little more than the first version. This makes the Strada 2 more of a very mild forefoot stability shoe. So for those looking for that very mild forefoot support that was very apparent in the first version, you can rest assured it is still there. 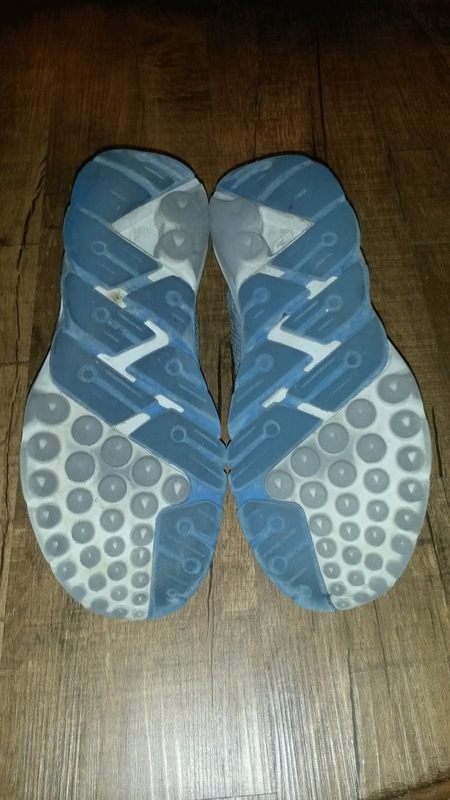 The whole point of posting is to make the part of the midsole that would normally be compressed more by excessive foot pronation (which is a triplanar MOTION. It’s not a position. Pronation is made up of foot dorsiflexion, eversion and abduction of the foot) firmer than the rest of the shoe for contrast. So instead of compressing that part, it is firmer so the other, softer midsole compresses more and supposedly “guides” your foot into better forward motion (the jury is still out on whether this actually works, whether it really is just affecting some aspect of your nervous system or whether there are only specific people this will work for). To be clear though, the GOmeb Strada 2 is a neutral shoe and is not marketed as having any stability components. I just thought the previous version was very unique in this aspect since VERY few shoes on the market offer any kind of forefoot posting. Posting and most types of stability are all of it is in the heel or midfoot. Which totally leaves out people who collapse at the first ray/medial forefoot. There are some shoes that do have forefoot posting including the Nike Zoom Odyssey, Altra stability shoes and from what I have heard maybe the New Balance Vongo (which I have not tried and may be wrong about. That has been my understanding). But again, the Strada 2 is a neutral shoe and is marketed as such. The major issue continues to be outsole durability. The sole is already a little on the soft side and I would NOT mind if they firmed it up or took a note from the Forza’s outsole. Skechers Performance already has a highly cushioned shoe (GOrun Ultra Road) and I think the Strada would benefit from additional firmness and a little more structure to the shoe to make it a true neutral trainer alongside the Nike Pegasus, Saucony Ride, Brooks Ghost and others. My other major issue is the cost. At $130 this is an expensive shoe. Especially for one that has durability issues in the sole. Do I notice the durability issues while running? No, because the sole is thick enough and with the increased flexibility, I still don't feel the breakdown as much. However, compared to other neutral trainers (especially the Pegasus), I would see if there was any way to drop that price point $10-$30 to make the shoe more accessible. 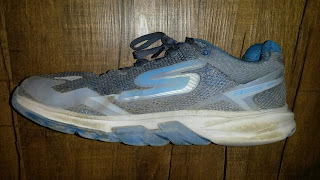 The GOmeb Strada 2 continues to be a great trainer for me and I will continue running in it until the shoe falls apart. The softer midsole is a little more flexible and softer than the previous version and the upper is much stiffer but more durable. Durability has increased slightly with the change to the 5GEN midsole material, but overall the Strada 2 is similar to the previous version. For those that liked the sensation of increased sole firmness over the 1st metatarsal, due to the overall increased sole firmness, this is still present. Durability of the outsole continues to be an issue, but expect to get a relatively normal lifespan of ~300 miles out of this shoe (or more if don't tear shoes up as fast as I do). Thanks for reading and don't forget to Tack On! Disclaimer: These shoes were purchased on Running Warehouse for their full US retail price. I put at least 75 miles on every pair of shoes before I review them (except racing flats which I put at least 25 miles on). Currently I have 154 miles on my pair. EDITORS NOTE: I originally thought the Strada 2 was firmer and stiffer than the Strada 1. However, after comments from my fellow Shoe Geek David Henry, I found my Strada 1s and discovered that flexibility and midsole softness had definitely increased. I attribute this to not running in the Strada 1 for over a year and VERY much appreciated David Henry's comments provide a good solid review for the Skechers GOmeb Strada 2. The current review reflects these updates and has been edited.